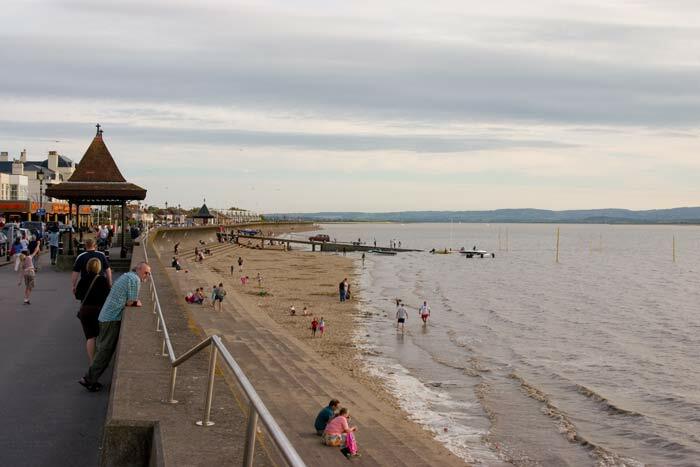 Burnham on Sea and it's neighbouring "extensions" along the coast, Berrow and Brean, are referred to as Somerset by the Sea. 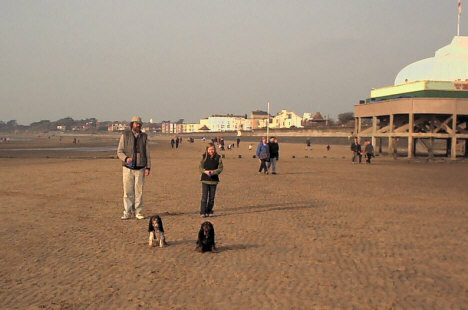 Like all this coast there is a large tidal range but the beaches have plenty of sand and stretch for some miles. 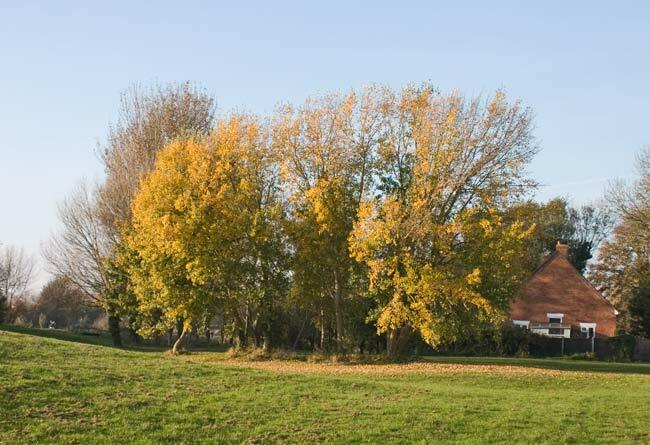 Click on the thumbnail photos to see them full size in a new window. 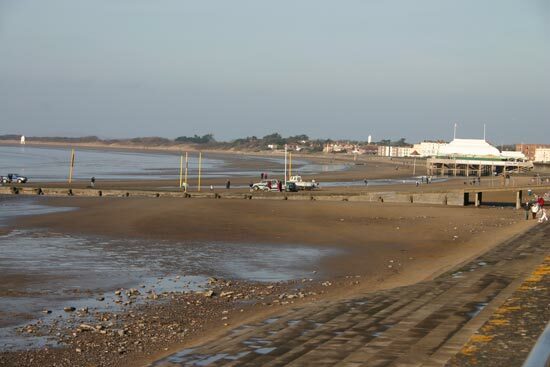 A view down on the sands of Burnham beach. 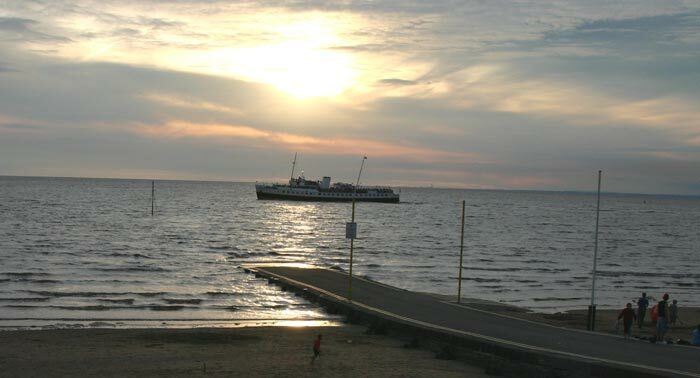 From up on the promenade the jetty, used for launching boats; the pier and, in the distance, the lighthouse can be seen. 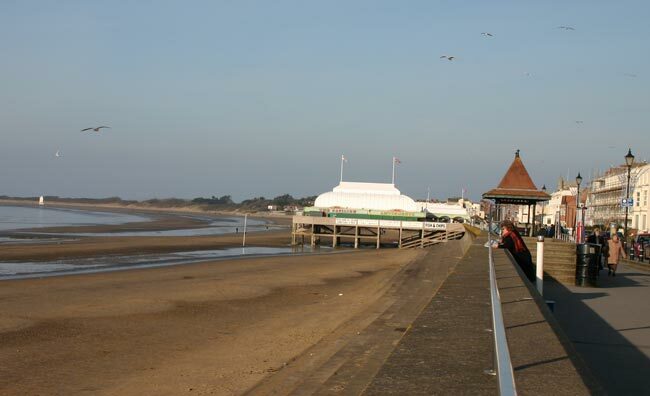 A closer view of the pier, Burnham's in the shortest in the UK! 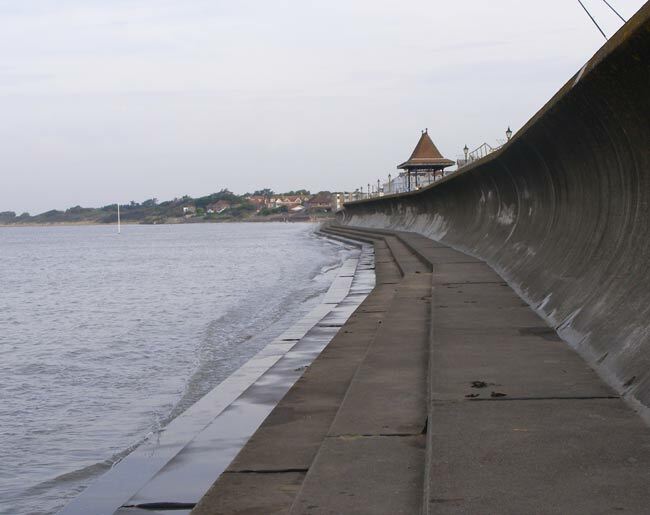 In early September 2006 the spring tides were predicted to be higher than normal, high atmospheric pressure kept them in check but on the morning of 9 September it did reach the sea wall. 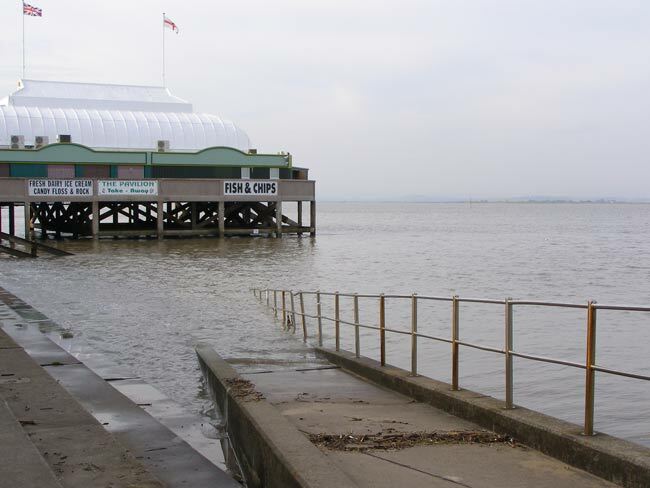 Another view of the same tide, the Pavilion really was a pier then! Another high tide on an August evening saw most of the beach covered. 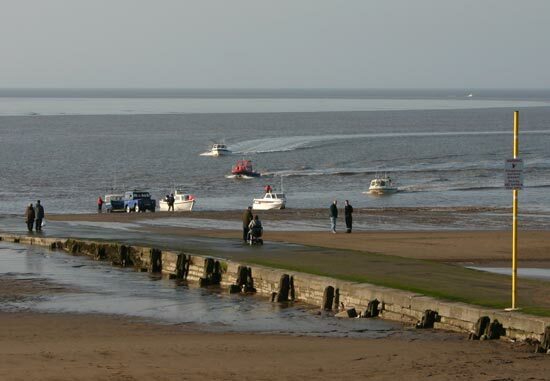 In early February 2006 there were far more boats than usual using the jetty and beach for launching and landing. 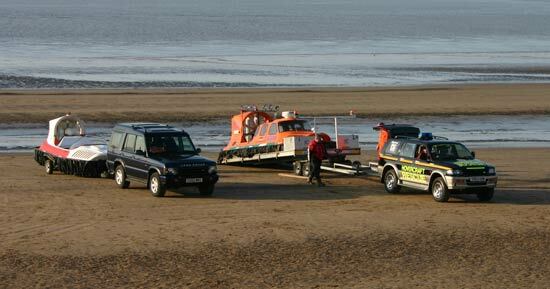 They weren't using the jetty itself but the beach alongside to get the boats on their trailers, as the tide fell this meant a tractor was needed as even 4x4s would be in danger of sinking in to the wet sand. 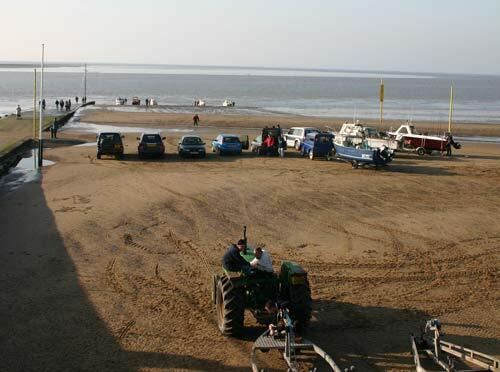 Most were ashore with the tractor making a last run in this photo. 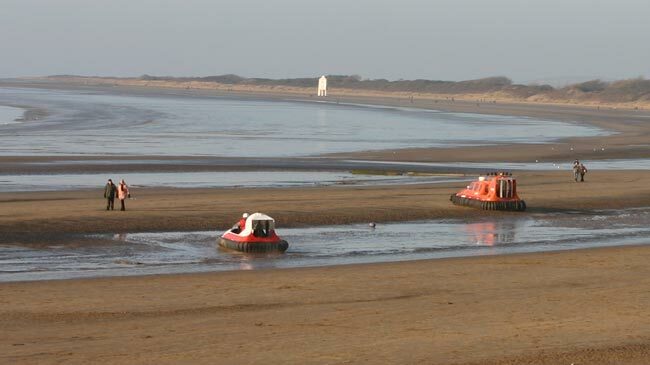 The large tidal range leaves mud and sinking sand exposed at low tide, because of this there is a rescue hovercraft at Burnham, seen here about to be off loaded from its trailer along with another, smaller, craft. 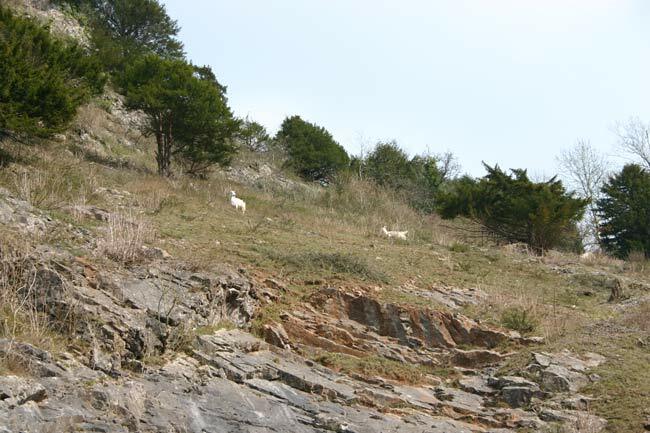 Soon after they were heading off towards the lighthouse on a training exercise. 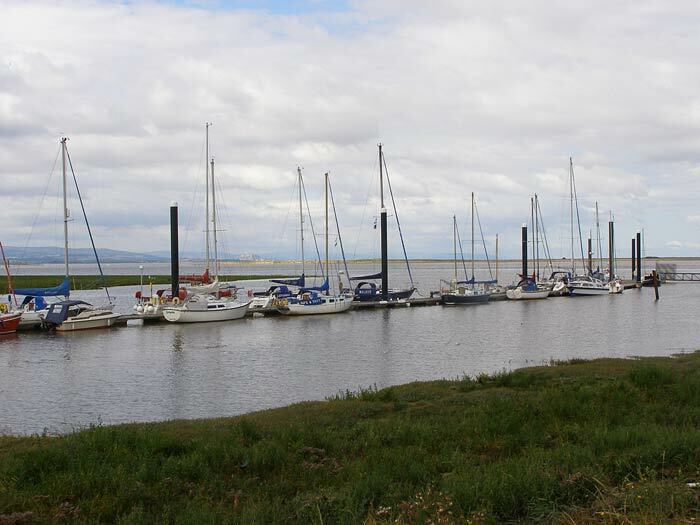 Burnham is at the mouth of the River Parrett, cargo ships still go up river almost to Bridgwater and require a pilot. 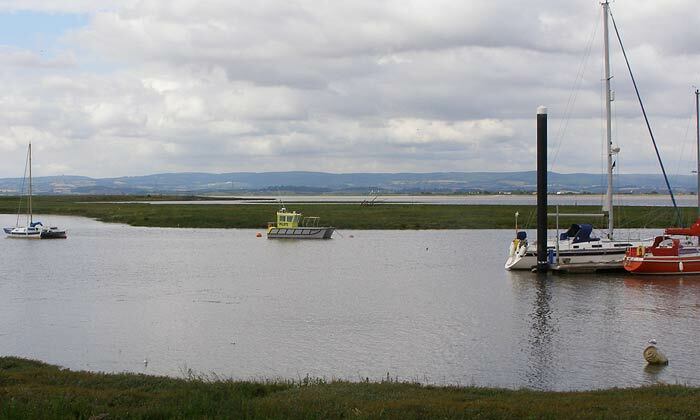 This is the pilot cutter at anchor in the River Brue, which joins the Parrett just before the Parrett joins the sea. 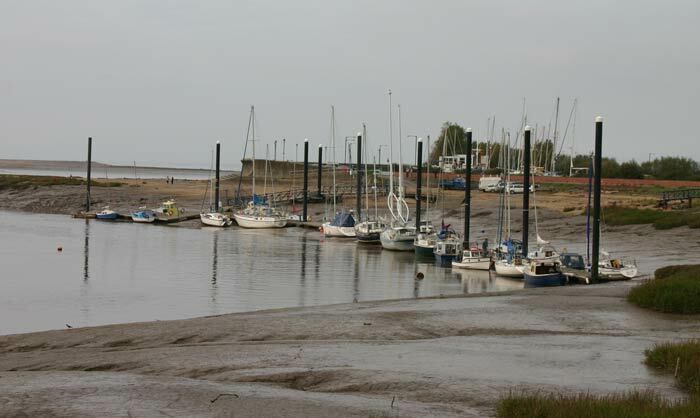 Despite the limitations imposed by the tidal range on this coast there are plenty of boats moored to a pontoon in this part of the river. 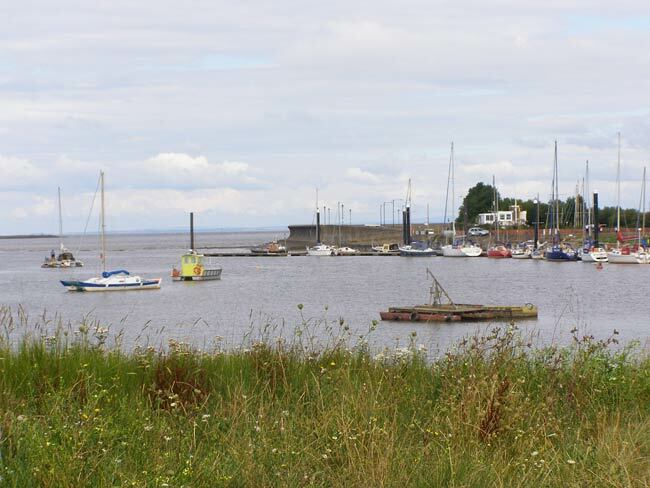 A view across a bend in the river shows the pilot's boat again, just to the right of that and further away is another boat they use, in the background is the end of the sea wall/sea front. 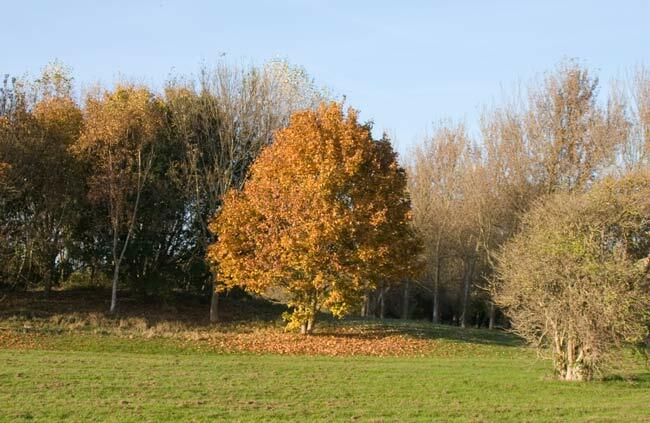 Autumn colours in Apex Park. 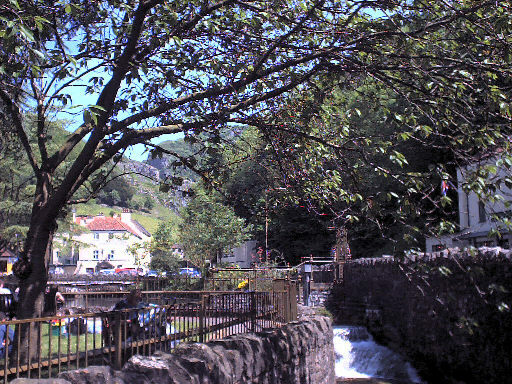 Part of the lake in Apex with some fishermen on the bank with autumn colours behind them. 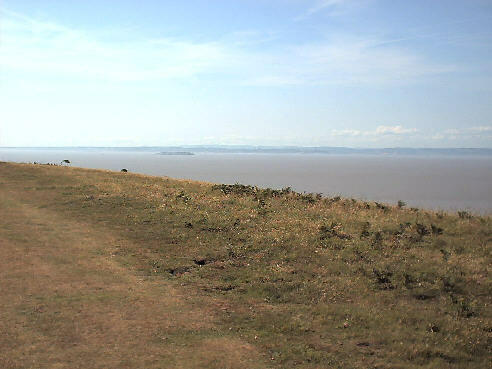 At the northern end of this bit of coast is Brean Down, which is where the Mendip Hills reach the sea. 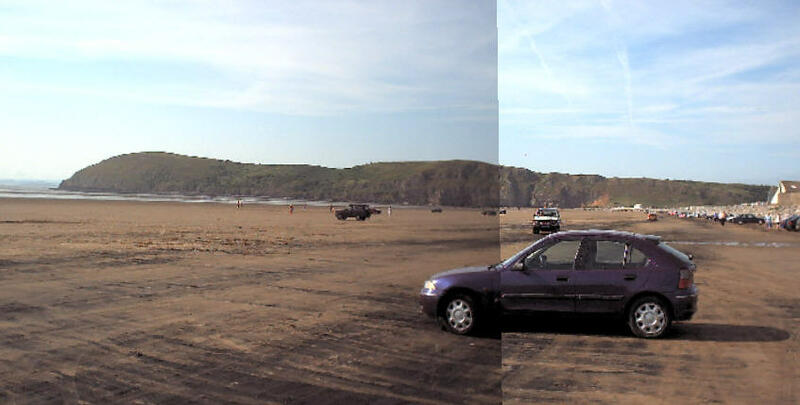 This rather poorly joined view shows the headland of Brean Down and the size of the beach here, which as you can see, is partly used as a car park. 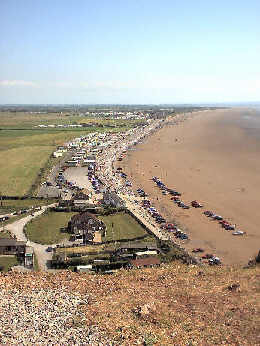 This is the view from Brean Down looking along the beach towards Berrow and Burnham. 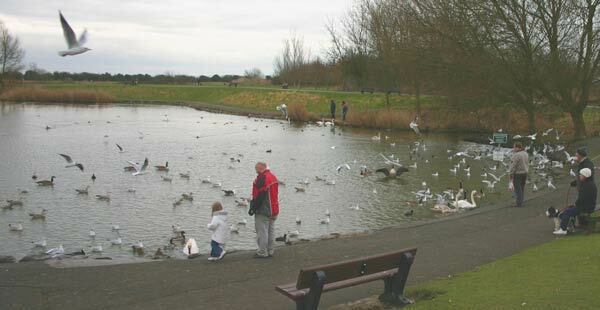 Much of the area behind the dunes is given over to caravan sites and mobile home parks, but there's plenty of room for them and their visitors. 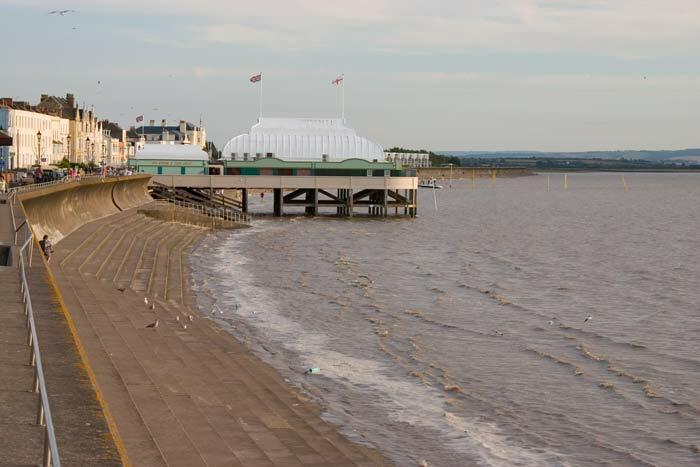 ...and look down on Weston super Mare. 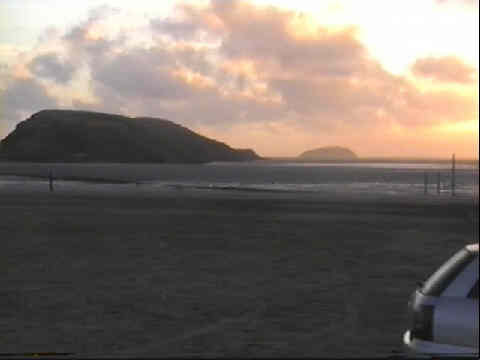 A last view of Brean Down, this time viewed at sunset from Uphill, on the Weston side of the Down. 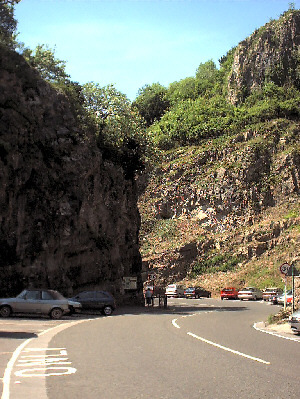 The other tourist attraction in the area is Cheddar Gorge, village and caves. 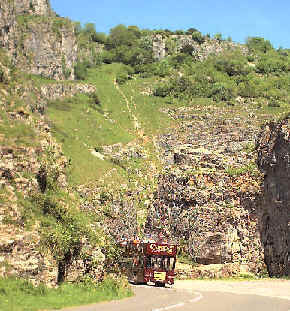 Two views of Cheddar Gorge, the vehicles give an idea of the scale of the gorge. 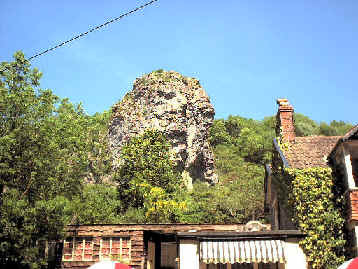 A view of the village of Cheddar (left) and one of Lion Rock in the village (right). 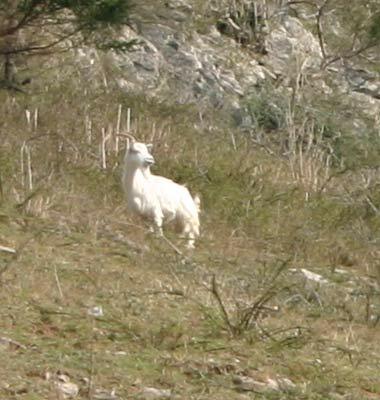 Another gorge on Mendip is Burrington Combe, these photos "zoom in" on a goat which is browsing the steep slopes of the combe.